It’s time to double your power and your personal effectiveness! If your goal is to expand your business or to simply improve the business that you currently have, mastering your time has to be apart of you going to another level. In fact, if you do not learn to effectively manage your time, you will easily become burn out and will be not be able to effectively mange your business. We are living in the social media and study shows that people are spending more and more time online. However, I have found that spending too much time online can take you away from what is important. My suggestion to you is for you to plan a certain time everyday that you dedicate to marketing your business online, reading email and for learning new information. Furthermore, I suggest that you review my Online marketing plan e-book to find out how you can effectively market your Business Online utilizing free social media tools. Those tools will allow you to schedule your post ahead of time and spend the rest of your time running your Business! I want to inspire you to evaluate how you spend your time; do more of what you love or High-Pay off tasks, delegate low pay- off tasks and start taking control of your time. Most of all, start getting some results! 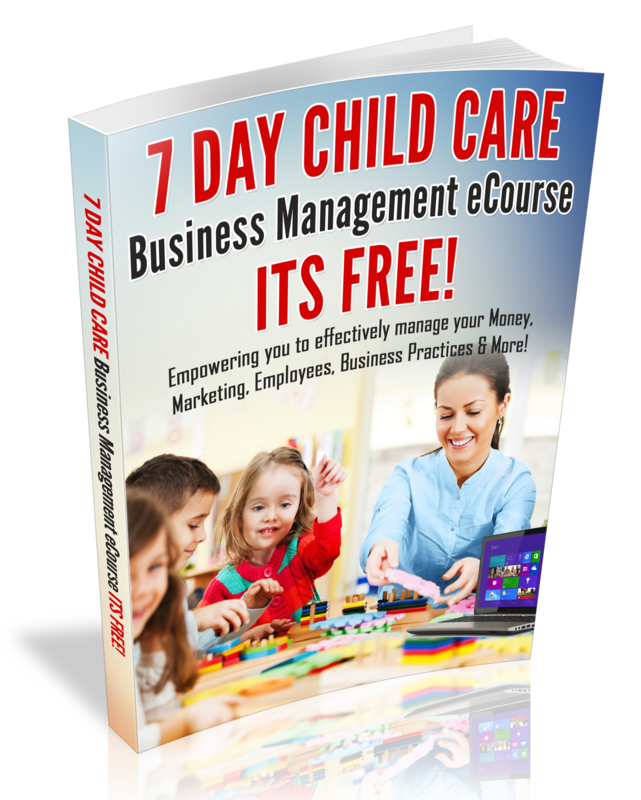 Are you struggling with Managing your Child Care Business or Your time? Contact me today to schedule a 1-hour Time/Business Management Coaching Session!